The delegation also held a series of individual and group meetings with the leadership of the local authority and the directors of ministries in the governorate, military and security leaders, politicians, businessmen, civil society leaders, activists, journalists and citizens from different backgrounds. 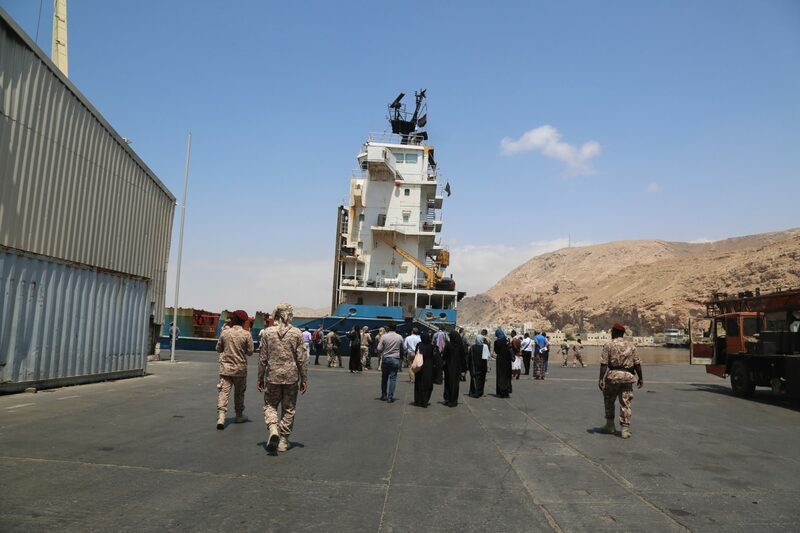 The delegation learned about commercial shipping in the governorate through a visit to Mukalla port, while also visiting Mukalla Hospital for Motherhood and Childhood, the Wusta School, Hadramawt University and others locations. In a statement, the Executive Director of the Sanaa Center for Strategic Studies Maged al-Madhaji said that this visit is another demonstration of the Sana’a Center’s committed efforts towards enhancing knowledge content regarding Yemen in the international press and global research centers. 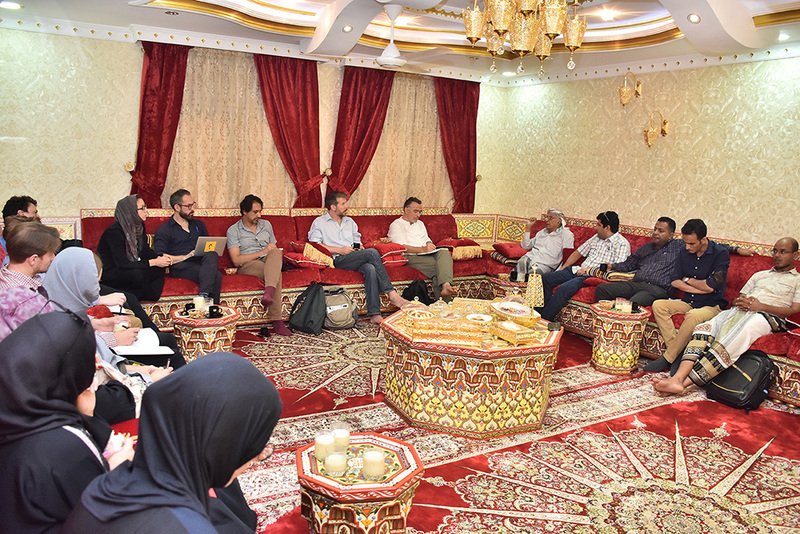 He noted that this visit was the largest by any foreign media delegation to the city of Mukalla since it was liberated from al-Qaeda in April 2016, and that developments in Hadramawt are pivotal to how circumstances develop in Yemen overall. Al-Madhaji added that the visit represented a rare opportunity to create direct channels between the world and Yemen, which is especially important given the extreme scarcity of quality information regarding Yemen beyond the framework of the humanitarian crisis. 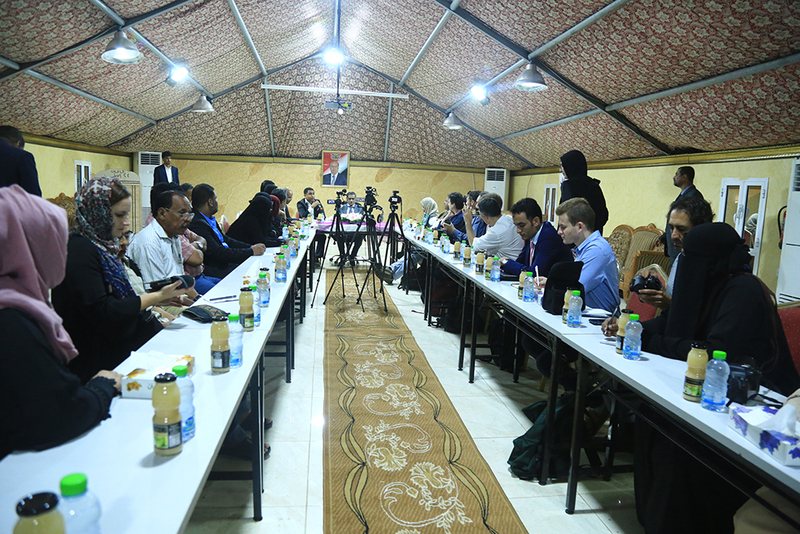 Notably, this is the second time that the Sana’a Center has organized an international press visit to Yemen. In November last year a similar visit was organized to the governorate of Marib. Correspondents of European, American and British newspapers participated in both visits.